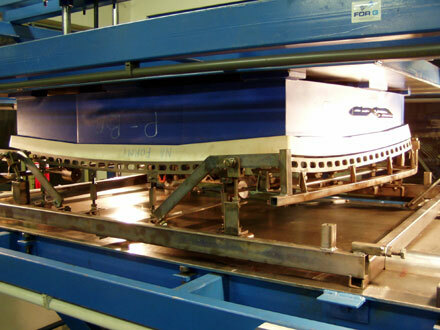 We have had long-term experience of production of moulds for automotive glass. The moulds are delivered after annealing and final adjusting to the checking fixture on centering bench. If required, we secure the checking fixture production. Usually the moulds are produced in accordance with the customer’s documentation, or with an obtained prototype. We also deliver mould wagons.